10 Post Office Square is a trophy office location in Downtown Boston overlooking the Norman B. Leventhal Park in the heart of the city’s financial district. For those looking for access to the very best Boston has to offer 10 Post Office Square is the ideal location. Entertaining clients over a power lunch or dinner is convenient at 10 Post Office Square where residents have access to some of the finest dining in the city at restaurants including theOceanaire Seafood Room, Mooo, Meritage, and No. 9 Park to name just a few. Residents at 10 Post Office Square have access to a wide array of flexible space options to choose from including private offices, suites, and flexible desk solutions. 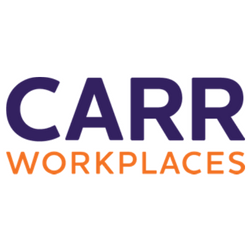 Like all Carr Workplace residents those at 10 Post Office Square also have access to convenient and efficient on-demand services such as reception services, back-office support, and access to our Café Plan to name just a few. Coworking Space in the Heart of Downtown Boston!